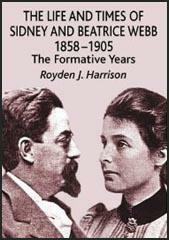 Sidney Webb, the son of an accountant, was born in London on 13th July, 1859. His father held radical political views and was a strong supporter of John Stuart Mill in the 1865 General Election. At the age of sixteen Sidney became an office clerk but he continued to attend evening classes at the University of London until he acquired the qualifications needed to enter the Civil Service. Webb also contributed to the Christian Socialist and taught at the London Working Men's College. Webb developed socialist ideas while at university and in 1885 he joined the Fabian Society. The society believed that capitalism had created an unjust and inefficient society. The members, who included Edward Carpenter, Annie Besant, Walter Crane, and George Bernard Shaw agreed that the ultimate aim of the group should be to reconstruct "society in accordance with the highest moral possibilities". The Fabian Society was a "fact-finding and fact-dispensing body" and it produced a series of pamphlets on a wide variety of different social issues. Many of these were written by Sidney Webb including Facts for Socialists (1887), Facts for Londoners (1888) and The Eight Hour Day (1891). Webb also wrote A Plan on Campaign for Labour with George Bernard Shaw. Webb took an interest in revolutionary groups such as the Social Democratic Federation but rejected their ideas on class warfare. He argued for reform rather than revolution and claimed that it was Robert Owen and not Karl Marx who was the real founder of British socialism. Sidney Webb sought an end to the laissez-faire approach to economics and urged the government to play a more active role in regulating the economy. His ideas helped to influence the development of what later became known as the Welfare State. In 1891 Beatrice Potter, contacted Webb about her research into the co-operative movement. Her initial reaction was not very positive. She wrote in her diary: "his tiny tadpole body, unhealthy skin, cockney pronunciation, poverty, are all against him". They eventually became close friends and in 1892 she agreed to marry him. She wrote in her diary that "it is only the head that I am marrying." Beatrice had an income of £1,000 that she had inherited from her rich father. This money enabled Sidney to give up his post as a Civil Servant and he now concentrated on his political work. In the year that he married, Sidney stood as the Fabian Society candidate for Deptford in the London County Council elections. Webb won the seat and he retained it for the next eighteen years. Webb was appointed as Chairman of the Technical Instruction Committee and as a result was known as the Minister of Public Education for London. Ben Tillett later commented: "Sidney Webb was an encyclopedia of information and knowledge. With his fellow Fabians he made London government his plaything. My respect for this formidable little gentleman with the boundless stories of knowledge, industry and aptitude for political intrigue, dates from the times when we worked together on the London Council." 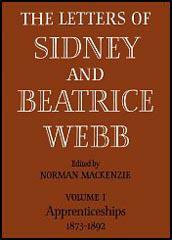 Sidney and Beatrice Webb worked on several books together including The History of Trade Unionism (1894) and Industrial Democracy (1897). The research that they carried out while writing these books convinced them there was a need to establish a new political party that was committed to obtaining socialism through parliamentary elections. Beatrice wrote in her diary: "Are the books we have written together worth (to the community) the babies we might have had?" In 1894 Henry Hutchinson, a wealthy solicitor from Derby, left the Fabian Society £10,000. Sidney and Beatrice Webb suggested that the money should be used to develop a new university in London. The London School of Economics and Political Science (LSE) was founded in 1895. As Sidney Webb pointed out, the intention of the institution was to "teach political economy on more modern and more socialist lines than those on which it had been taught hitherto, and to serve at the same time as a school of higher commercial education". The Webbs first approached Graham Wallas, a leading member of the Fabian Society, to become the Director of the LSE. Wallas declined the offer and W. A. S. Hewins, a young economist at Pembroke College, Oxford, was appointed instead. With the support of the London County Council (LCC) and the Technical Education Board, the LSE flourished as a centre of learning. On 27th February 1900, the Fabian Society joined with the Independent Labour Party, the Social Democratic Federation and trade union leaders to form the Labour Representation Committee (LRC). The LRC put up fifteen candidates in the 1900 General Election and between them they won 62,698 votes. Two of the candidates, Keir Hardie and Richard Bell won seats in the House of Commons. Sidney Webb was willing to work with any political party in order to obtain the policies he believed in. When the Conservative Party won the 1900 General Election, the Webbs drafted what later became the 1902 Education Act. The Webbs were strong critics of the Poor Law system in Britain. In 1905 the government established a Royal Commission was established to look into "the working of the laws relating to the relief of poor persons in the United Kingdom". Beatrice Webb was asked to serve as a member of the commission and her husband assisted with collecting the data on how the system was working. Beatrice disagreed with most of the members on the Royal Commission and together with Sidney wrote and published a Minority Report. In their report the Webbs called for: (1) the end of the Poor Law; (2) the establishment and coordination of employment bureau throughout Britain to make efficient use of the nation's labour resources; (3) improving essential services such as education and health. The Liberal government headed by Herbert Asquith accepted the Majority Report and rejected the advice given by the Webbs. 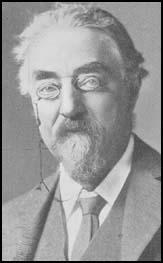 In 1915 Sidney Webb was appointed to the Labour Party National Executive. By 1922 he was Chairman of the National Executive and the following year, in the 1923 General Election, was chosen to represent the Labour Party in the Seaham constituency. Webb won the seat and when Ramsay MacDonald became Britain first Labour Prime Minister in 1924, he appointed Webb as his President of the Board of Trade. Webb chaired a cabinet committee on unemployment. His deputy cabinet secretary complained in his diary, "all Sidney Webb … has been able to prescribe as a remedy, after 30 or 40 years of reflection on the problem, is a revival of trade... Webb's mountainous brain always succeeded in producing an infinitesimal mouse". Webb left the House of Commons in 1929 when he was granted the title Baron Passfield. His biographer pointed out: "He adopted the title Baron Passfield, after Passfield Corner, the Hampshire house which the partnership had bought in 1923, but he refused a coat of arms, and Beatrice declined to call herself Lady Passfield." Now in the House of Lords, Webb served as Secretary of State for the Colonies in MacDonald's second Labour Government. In 1932 the Webbs visited the Soviet Union. Although unhappy with the lack of political freedom in the country they were impressed with the rapid improvement in the health and educational services and the changes that had taken place to ensure economic and political equality for women. When they returned to Britain they wrote a book on the economic experiments taking place in the Soviet Union called Soviet Communism: A New Civilization? (1935). In the book the Webbs predicted that "the social and economic system of planned production for community consumption" of the Soviet Union would eventually spread to the rest of the world. They added that they hoped this would happen through reform rather than revolution. Despite the Stalinist purges and the Nazi-Soviet Pact, the Webbs continued to support the Soviet economic experiment and in 1942 published The Truth About Soviet Russia (1942). Beatrice Webb died on 30th April, 1943. Sidney Webb died four years later on 13th October, 1947. Sidney Webb, the socialist, dined here to meet Charles and Mary Booth. A remarkable little man with a huge head on a very tiny body, a breadth of forehead quite sufficient to account for the encyclopaedic character of his knowledge, a Jewish nose, prominent eyes and mouth, black hair, somewhat unkept, spectacles and a most bourgeois black coat shiny with wear. With his thumbs fixed pugnaciously in a far from immaculate waistcoat, with his bulky head thrown back and his little body forward he struts even when he stands, delivering himself with extraordinary rapidity of thought and utterance and with an expression of inexhaustible self-complacency. But I like the man. There is a directness of speech, an open-mindedness, an imaginative warm-heartedness which should carry him far. He has the self-complacency of one who is always thinking faster than his neighbours, who is untroubled by doubts, and to whom the acquisition of facts is as easy as the grasping of matter; but he has no vanity and is totally unself-conscious. (2) In his book, Memories and Reflections, Ben Tillett describes the Labour Group on the London County Council. Our small Labour Group included Crooks, Burns, Steadman and Freak. Sidney Webb was an encyclopedia of information and knowledge. With his fellow Fabians he made London government his plaything. My respect for this formidable little gentleman with the boundless stories of knowledge, industry and aptitude for political intrigue, dates from the times when we worked together on the London Council.